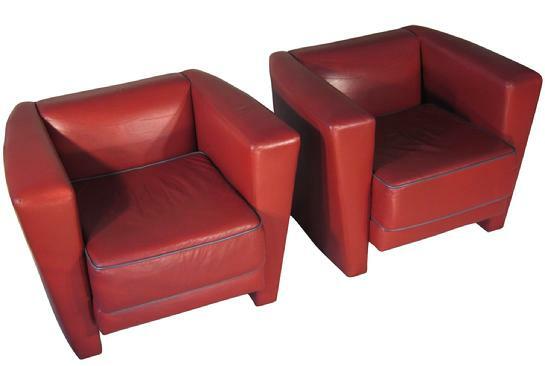 Leather club chairs, pair, designer unknown, original red leather upholstery with grey piping, each with "Spinneybeck Design America" label. This chair was known as the "Spinnaker" chair in part because of the gently curved profile of the chair arm and side. Very Good vintage condition, with wear as typical of 20 year old chairs seeing common usage in an executive office or executive lobby. Recently cleaned, with minor stains. Minor leather scuffs. No holes to leather; minor normal early creases to seats. A few shallow round impressions to leather on armrests - we believe the chairs were stacked at one time and the feet left minor impressions. A few minor scuffs/abrasions to sides. Solid and secure; nice. Both signed with "Spinneybeck Design America" paper labels on bottom, as illustrated. California Firecode 117 compliant, labeled. Could be sold individually, contact gallery. special thanks to Kirstin Lincoln of Spinneybeck Leather for additional catalog assistance. In early summer each year the annual NEOCON trade show is held at Chicago�s Merchandise Mart. In 1985 the show had been around for 15 years or so, and had by that point become the most important national �contract furniture� show. Many showrooms constructed extraordinary exhibits in their showrooms within which to make their new product introductions. This was especially true of several giants of the contract furniture industry, notably Steelcase, Herman Miller, Haworth and Knoll. In the mid 1980�s, opulence and excess were sort of chic in America. 1987 saw Michael Douglas win an Oscar based partly on Gordon Gekko's "Greed is Good" speech interpreting the real lives of Ivan Boesky and Michael Milken and Carl Icahn. A wave of expensive new product launches rolled through NEOCON each June. Sometimes the product introductions during this period seemed to be as much about the publicity generated by star power names, as for the prospect of ever selling the particular new model being introduced. I�ve often thought of NEOCON new product intros as the �couture runway collection� created to sell the office panels and secretarial chairs being shown in the adjoining part of the company showroom. Some intervening periods of austerity have slightly tamed the corporate excesses of the period. In 1984, the Baker Furniture Company was making a fairly strong push into the �executive office� segment of the contract furniture industry. The company had already been involved in this segment a bit, and had recently built the �Monroe Street� Plant #6 facility in Grand Rapids to make desks and credenzas and conference tables. That year Baker�s fancy NEOCON buzz generator was the �Porsche Chair,� a leather recliner designed by Ferdinand Alexander Porsche, in a limited edition of 100. 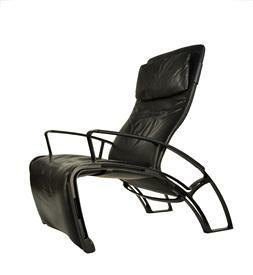 We�ll be showing one of those chairs at MassModern in autumn / winter 2009 at our Baker Modern Furniture show. In 1985, I went to NEOCON as a recently hired marketing intern at Baker Furniture / Baker Knapp & Tubbs. I�m still convinced my primary role during the show was to pick up the �out of town� newspapers for the company�s executives in the morning and to do their bartending in the evening. In any event, this was the year that I hit the calendar right and ended up at the Chicago Merchandise Mart in June. I think 1985 was also the year Baker introduced a terrific executive office suite called �SERIF,� designed by Bill Sklaroff from Philadelphia. I loved the group, for various reasons, and still hope to one day run across a piece or two to add to my collection. It was a transitional style, mostly in cherry or a bleached olive ash burl. When I ordered a desk for my Baker Boston office in 1988, it was a Serif desk I picked. Even as the majority of Baker’s business was still in making mahogany Georgian style desk suites, the company still pushed forward with exceptionally fine modernist design, especially in the executive office category. In 1986, Baker followed up Porsche and Sklaroff with an even bigger “name” designer, at least in the architect / furniture design community. The company introduced a very sleek modernist desk and office suite designed by French designer Pierre Paulin, one of the true greats of the 20th century. 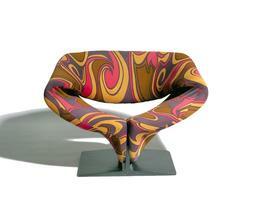 Paulin was known for, among other things, his iconic "Ribbon Chair" by Artifort (left). We’ll also have two original Paulin tables this fall at the “Baker Modern” exhibit. The Spinneybeck link to this story must seem entirely overlooked; but not so. There is a direct connection. At that mid-1980's era NEOCON Show, I was stationed in the Baker "Contract" showroom on the 9th Floor of The Merchandise Mart. As I greeted people coming into our showroom, the most ubiquitous promotional item seemed to be in everybody's hand. It was Spinneybeck's contribution to the nomenclature of an already well-energized and highly designed international trade show. It was a simple baseball, made of Spinneybeck leather, in a luxurious but bright color of red very similar to that hide covering our two red club chairs. I remember the baseballs as being made both in this red, but I also have a vague recollection of the balls also being done in a strong combination of red and coal black leather. I've always recalled that Spinneybeck promotion vividly. The handing out of real and otherwise apparently authentic baseballs made of their signature red leather, is one I remember as one of the most fun and most effective I've ever seen in the furniture business. 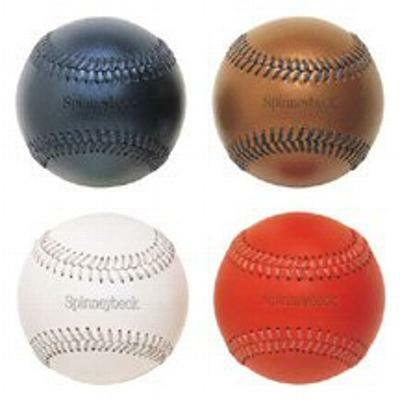 Spinneybeck's international profile was elevated substantially, orders grew, and even today the Spinneybeck baseballs are now available as collector's items on the Spinneybeck website.